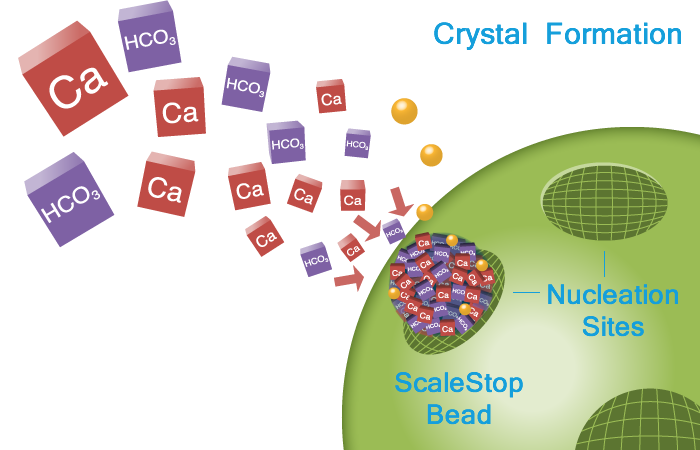 Next Scale Stop TAC - Template Assisted Crystallisation, is a proven and independently evaluated scale prevention technology. In tests using the German DVGW-W512 protocol - the most respected and authoritative test in the World, it has repeatedly achieved efficiency ratings in excess of 95% and has achieved this in a range of water hardness challenges up to TDS of 1200 mg/l with CaCo3 of 500ppm and at both 60C and 80C. In these evaluations, TAC has shown to be twice as efficient as electro/magnetic/sacrificial anode devices, and equal to the very best ion exchange (salt) water softeners. TAC has non of the limitations of use of salt systems. Our TAC technology is written into the build specifications for Marriott Hotels, and is widely used in Hilton (Embassy Suites) Crowne Plaza/Holiday Inn/Holiday Inn Express and DeVere. 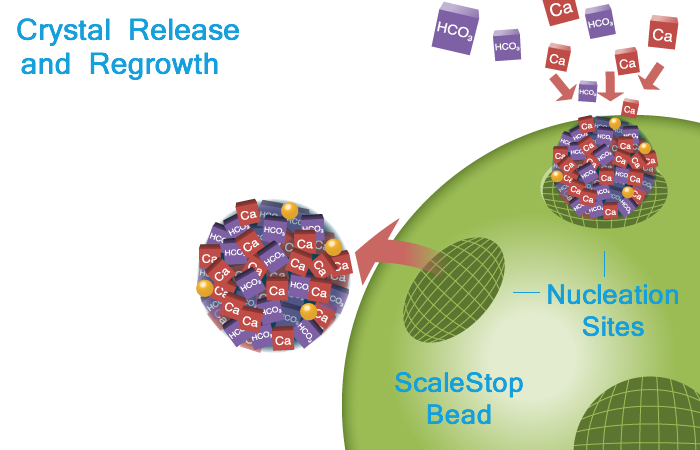 Next Scale Stop is widely used in the food services and hospitality sector. Additional markets are with boiler and equipment manufacturers as OEM own brand protection. These include boiler manufacturers A O Smith, and Noritz, Concordia Coffee machines, Groen combi ovens and several more.